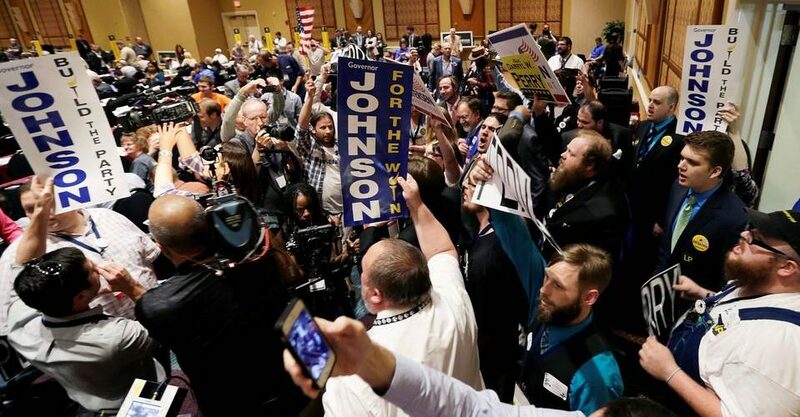 ORLANDO, Fla.—The Libertarian National Convention on Sunday chose a pair of former Republican governors as their presidential and vice presidential nominees, putting forward the most-experienced election ticket in the party’s four-decade history. Delegates gathered here picked former New Mexico Gov. Gary Johnson as their presidential standard-bearer and backed Mr. Johnson’s preference for former Massachusetts Gov. William Weld as the vice-presidential nominee. By selecting a ticket composed of veteran Republican officeholders, Libertarians were hoping to present voters with a credible alternative to presumptive GOP nominee Donald Trump and Democratic front-runner Hillary Clinton, both of whom are likely to enter the fall election as the most unpopular presidential candidates in modern history. 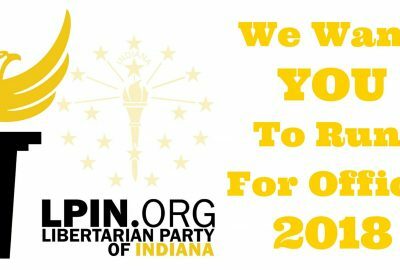 Still, with opinion polls showing more Americans open to a third-party candidacy in 2016 than ever before, Libertarians say they hope to draw from a well of disaffected Republican, Democratic and independent voters. The party is also likely to be the only third-party option on the ballot in all 50 states this fall. Together, Messrs. Johnson and Weld have more than a dozen years of governing experience. Mr. Johnson was a popular two-term Republican governor of New Mexico, best known for his expansive use of the veto during his eight years in office and his support for the decriminalization of drugs. He ran for president in 2012 as a Republican before switching to the Libertarians, capturing the party’s nomination and garnering nearly 1.3 million votes in the general election—the party’s best showing yet. Mr. Weld was elected twice in heavily Democratic Massachusetts, governing as a moderate Republican with liberal views on abortion, gay rights and gun laws. The pair of nominees now faces an uphill battle for legitimacy and attention. No third-party presidential candidate has won the presidency in American history, and no third-party candidate has carried a state in a presidential election since 1968, when former Alabama Gov. George Wallace did so. 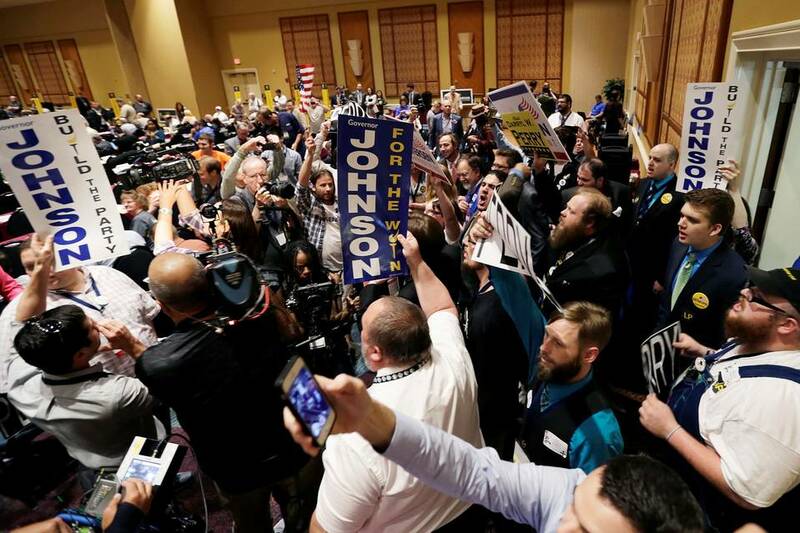 This year, a handful of scattered polls that included Mr. Johnson’s name shows him polling about 10% in a three-way race against Mrs. Clinton and Mr. Trump. Nicholas Sarwark, chairman of the Libertarian Party, on Sunday said the party is now looking to make inroads into the class of donors that usually bankrolls Republican candidates, including billionaires David and Charles Koch. 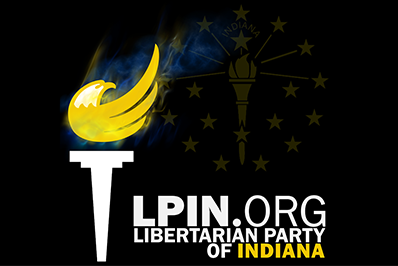 “There’s backchannel communications to suggest to the Koch brothers that the return on their political investment would be a lot higher in the Libertarian Party, and we align better with their values than the Republican Party,” Mr. Sarwark said. David Koch was the Libertarian Party vice-presidential candidate in 1980. But Mr. Sarwark said the Koch brothers shifted their political donations from the Libertarian Party to the Republican Party in the 1980s. “It’s time for them to come home,” Mr. Sarwark said. The path for Messrs. Johnson and Weld to the Libertarian nomination was far from smooth. Mr. Johnson fell short of a majority on the first ballot, necessitating a second vote in which he prevailed. 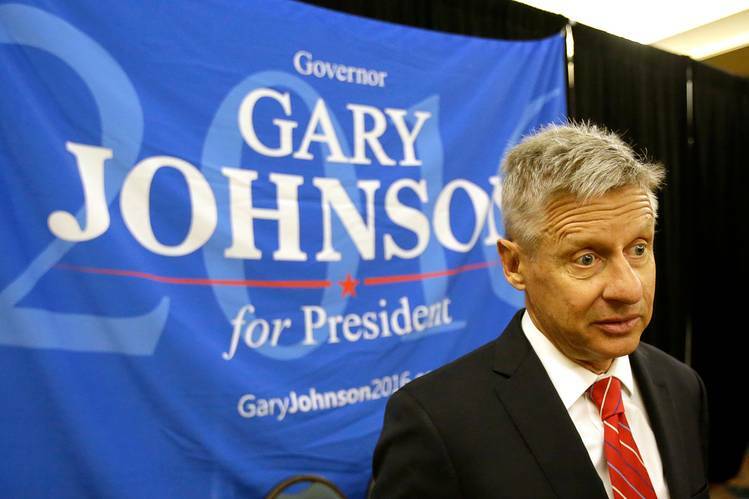 Mr. Johnson also repeatedly implored the delegates to make Mr. Weld his running mate. —Channing Brown, 58, a delegate to the Libertarian convention. 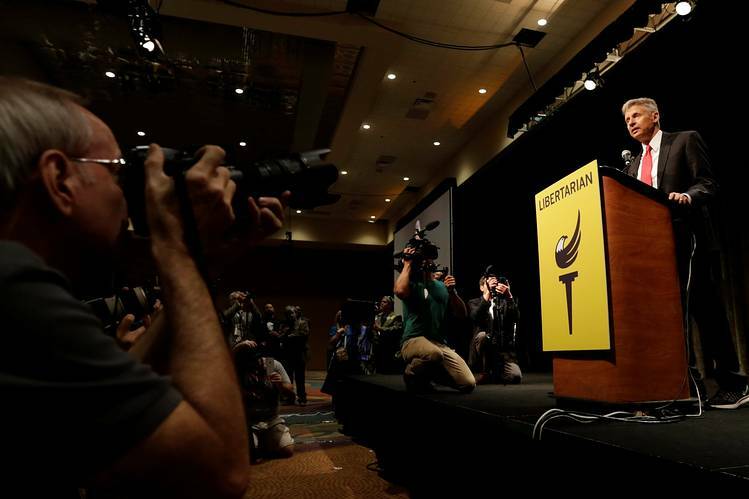 Mr. Weld’s nomination was in doubt throughout the weekend, as delegates wrestled over whether he was libertarian enough to represent the party. The two men ran a weekend gauntlet of tough questioning from Libertarian activists who eyed Mr. Weld skeptically because of his lack of previous involvement in libertarian causes, as well as heterodox stances on gun control, free trade and foreign policy. The convention was an unusual spectacle by the standards of typical American political gatherings, even in an election year where a reality-television star has catapulted to an almost-assured Republican nomination. Indeed, a large comic book, science fiction and anime exposition was being held adjacent to Libertarian convention, leading delegates to mingle in the hotel with a steady stream of people dressed in costumes depicting characters, such as Pokémon’s Pikachu and Star Wars’ Han Solo. The Saturday evening presidential debate featured Mr. Johnson and four rivals answering pointed questions reflecting libertarian concerns about the size and scope of government, such as whether governments should require drivers to hold licenses, whether children should be allowed to use or purchase narcotics, and there even was a question about whether the two World Wars were a mistake. Libertarianism advocates far smaller government reach on social and economic issues and an American foreign policy that avoids military conflicts abroad. Mr. Johnson was the only candidate on stage to assert that governments should require basic competency for people who operate an automobile. For that he drew scattered boos and heckling. Still, discussions at the convention reflected the same dilemma confronting this year’s Democratic and Republican party primaries, with voters torn between making a pragmatic choice or one that is purely ideological. 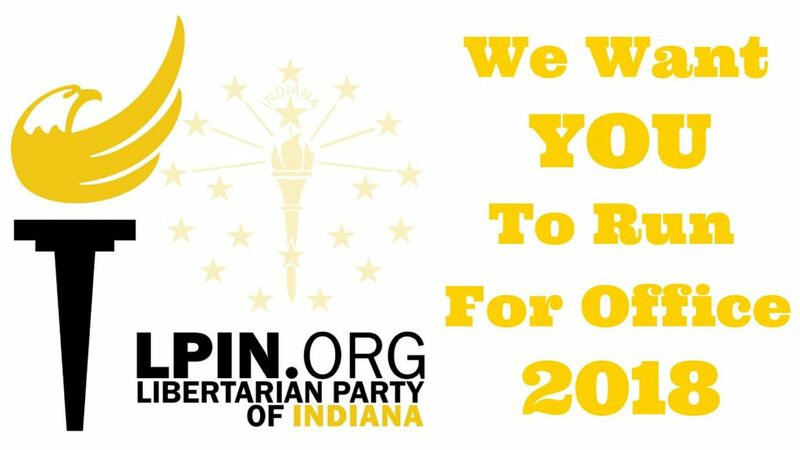 Ultimately, however, Libertarian delegates apparently couldn’t pass up the opportunity to nominate what could be the most-viable ticket in their party’s history. “This weird, wacky election season may be a once-in-a-lifetime opportunity,” said Channing Brown, 58 years old, a delegate to the convention.